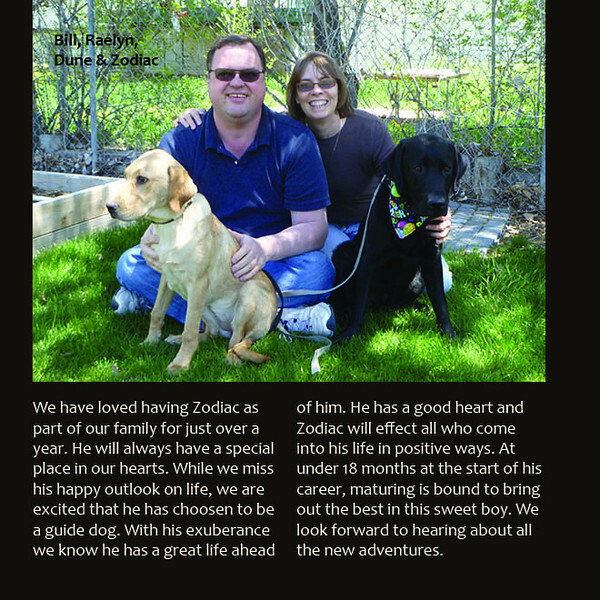 We have loved having Zodiac as part of our family for just over a year. He will always have a special place in our hearts. While we miss his happy outlook on life, we are excited that he has chosen to be a guide dog. With his exuberance we know he has a great life ahead of him. He has a good heart and Zodiac will effect all who come into his life in positive ways. At under 18 months at the start of his career, maturing is bound to bring out the best in this sweet boy. We look forward to hearing about all the new adventures.